So it happened. I found a NEW favorite way to prepare my overnight oats! 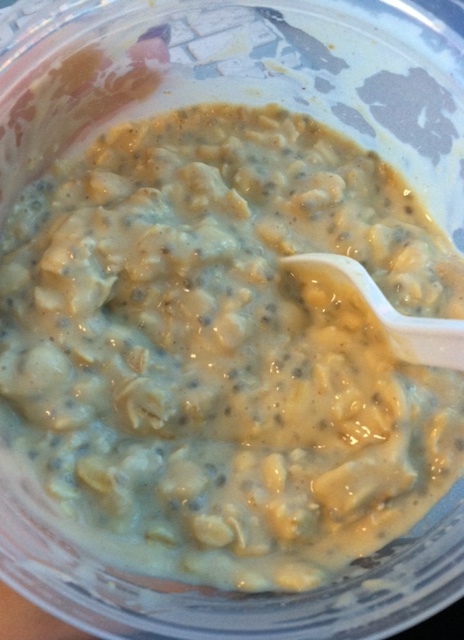 Combine the oats, chia seeds, powdered peanut butter, and dry pudding mix in a sealable bowl. Stir in the almond milk (or milk of your choice!) until all the dry ingredients are well blended. If you choose to use regular peanut butter instead of a powdered variety, mix it in after the milk. Now mix in the vanilla and cinnamon if you wish! Cover tightly and let the mixture sit in the fridge overnight. If oats are too thick, add a splash of more milk before eating! It should look something like this in the morning! Add a sliced banana on top for a little extra banana kick if you like. Yum!! This mix is my favorite yet. It tasted like a heavenly dessert in my breakfast bowl! 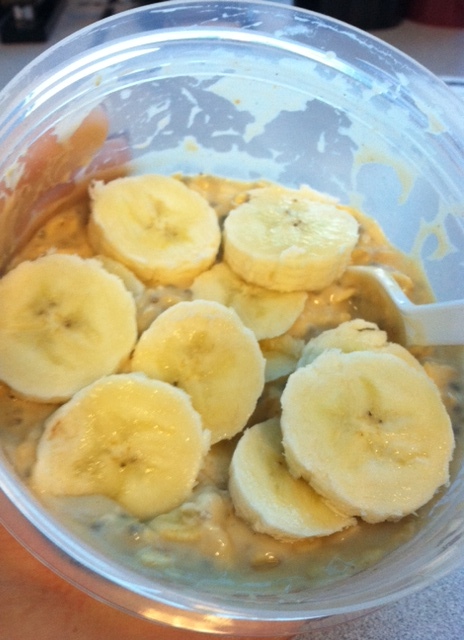 The fresh banana on top really added a lot of flavor and texture. The only thing that might make this a tad better?? Chocolate. But the strong peanut butter taste was more than enough to satisfy my sweet tooth. 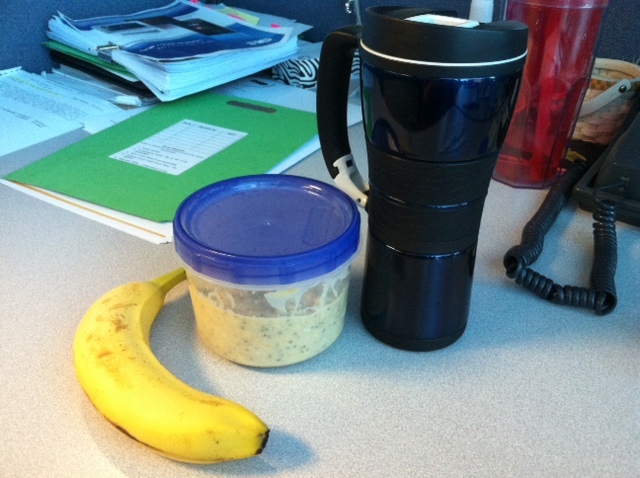 This morning I ate these delicious oats at my desk with lots of hot pumpkin-flavored coffee on the side. It was a great start to my work day! Hope you’ve had a great Hump day! 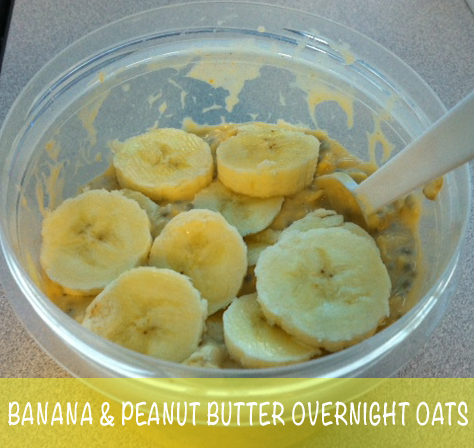 Give these overnight oats a try – and I’ll see you tomorrow!